Gun Donation Raises Money, Awareness For Terminally Ill Officer - What's New! 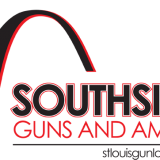 Southside Guns, St. Louis' gun store, donated an AR-15 rifle in the recent fundraiser for a terminally-ill former St. Louis Homicide detective. The rifle was used in conjunction with a range membership to raise funds for the former officer, who is suffering from terminal brain cancer. The AR-15 is a lightweight, 5.56 mm/.223-caliber, magazine-fed, air cooled rifle with a rotating-lock bolt, actuated by direct impingement gas operation or long/short stroke piston operation. It has been produced in many different versions, including numerous semi-automatic and selective fire variants. It is manufactured with extensive use of aluminum alloys and synthetic materials. FOR ADDITIONAL INFORMATION PLEASE CALL 314-351-BANG (2264), and visit www.sharpshooterstl.com today.